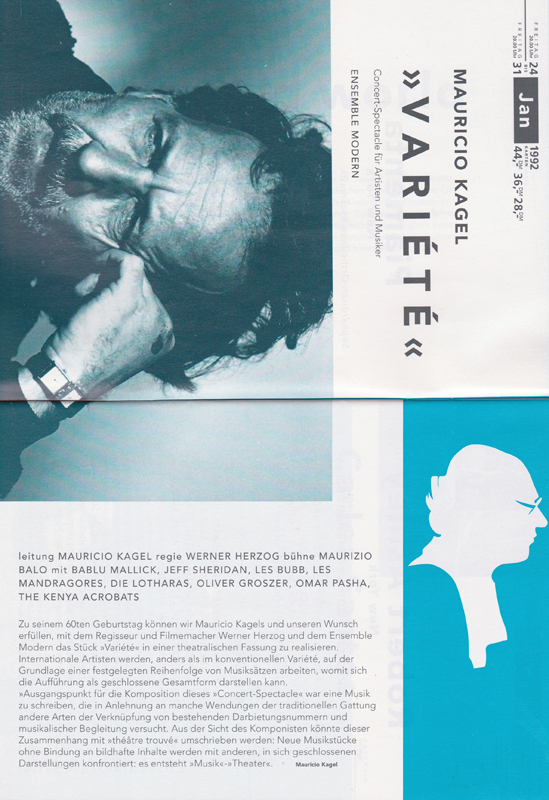 The city of Berlin pays tribute to the famous and prolific Argentinean/German contemporary composer Maurizio Kagel for his 60th birthday. 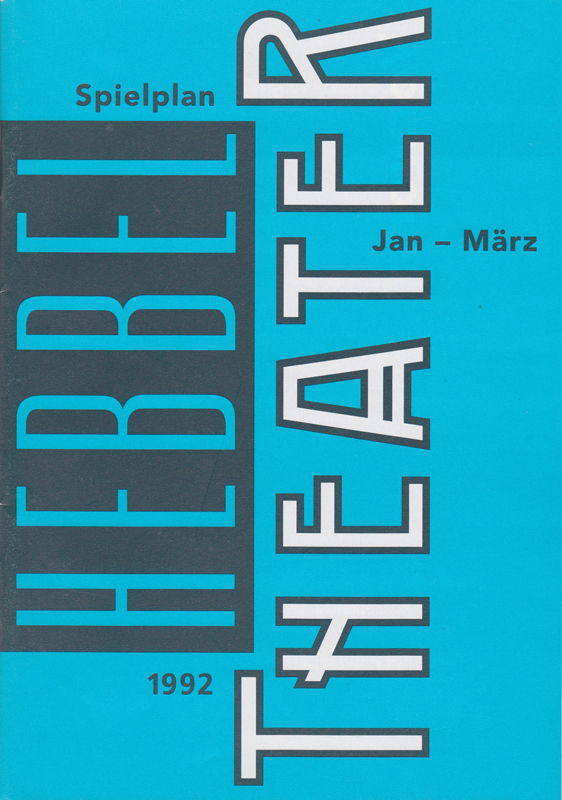 His composition “Variety” is (re)created on stage at the Hebbel Theater. “Variety” consists of various pieces played (in the orchestra pit) by an orchestra conducted by the composer. Variety artists perform their acts on stage, accompanied by this contemporary music. 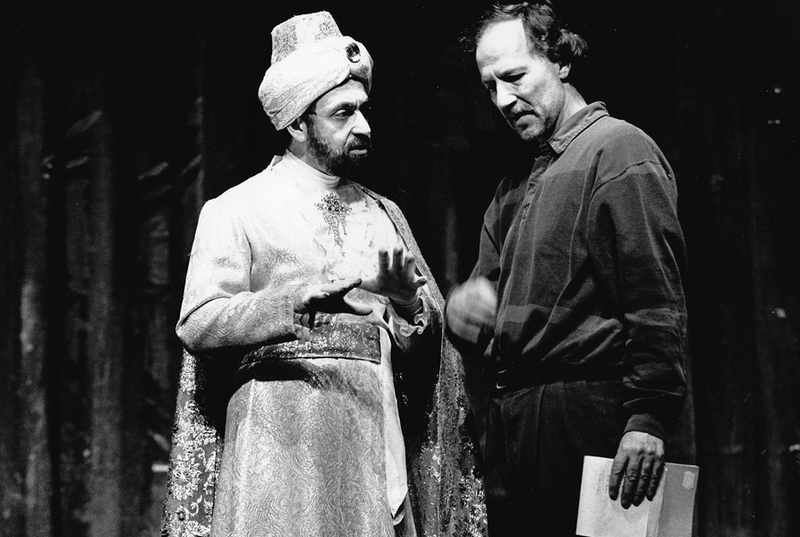 The famous movie, theater and opera director Werner Herzog managed the entire production. We performed on the final two pieces of the “Variety” work. For the opening performance, Werner Herzog asked us for a special effect : to make Maurizio Kagel vanish on stage. This would fulfill a fantasy of the composer : to end his days on stage. We achieve the magical effect : Kagel vanishes and instantly a statue of him appears as his bust on a stele. A laurel wreath flies around it and lands on the head. The orchestra plays “Happy birthday” in a humorous and “kagelian” way. It is unexpected and … magical. Everybody is delighted. Maurizio Kagel had great fun playing the trick on the audience. It was such a success that the production and Werner Herzog asked us to play the vanishing effect at every show though it was intended solely for the opening performance. We enjoyed very much being part of that show which bridged various artistic styles. It was proof that varieties and magic are not necessarily a simple entertainment, they are also part of art and culture. It was such a great pleasure and satisfaction to receive warm appreciation from an audience used to classical concerts and mainstream cultural events. 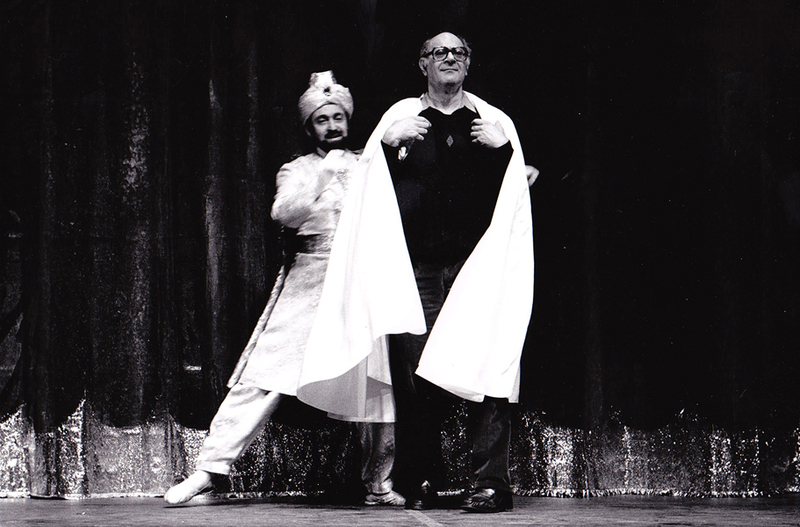 The same show was also performed the following year in Paris and Strasbourg, France. with : Les Bubb (mime), Olivier Groszer (juggler), Kenya Black Scorpions (acrobats), Bablu Mallick (shadows artist), Les Mandragores (contortionists), Navas (funambulists), Omar Pasha (magical black art), Jeff Sheridan (magician) and Sabine Lemke, Andreas Müller (emcees) .